That trusty climate control system works wonders keeping you and your passengers comfortable on those blistering summer afternoon drives. But when it breaks, conditions quickly deteriorate as warm, stale air pours through the vents. When this happens, one expert urges taking your car to a trusted service advisor, as any number of issues could be to blame. 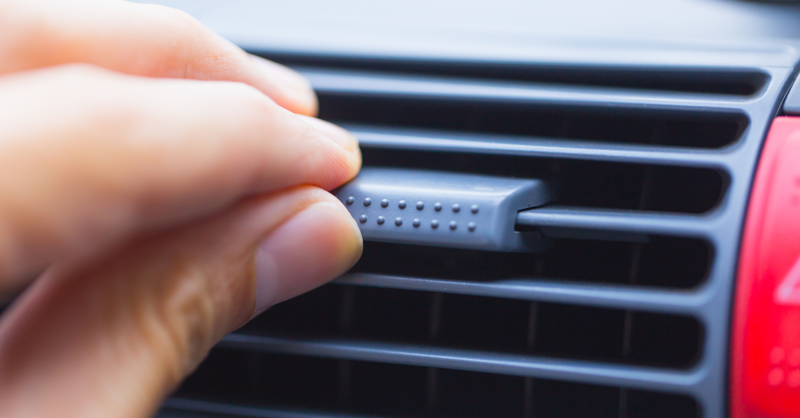 “Never assume warm air from the vents automatically means the system’s low on refrigerant,” said Dave Cappert of the National Institute for Automotive Service Excellence, a nationwide certification agency for automotive technicians. A blown fuse or issues with the compressor could also be to blame, he said. Moisture within the system can corrode pipes, creating extensive damage and rotting the system from the inside out. Cappert suggested having a trusted service advisor check the fluid pressure, duct temperature and cooling fan operation while also inspecting for leaks. Of course, auto parts stores sell cans of air conditioning refrigerant, but Cappert advises against the do-it-yourself route when dealing with such a complex system. Look for clogs in vents that may impede airflow. Check all fan settings. Do you notice any cool air when the adjusting temperature? Look for damaged hoses or a blown fuse. This is a simple and inexpensive fix. Ask your service advisor to inspect the vehicle’s air conditioning compressor. Components of the climate control system may need to be replaced. Hot air from the a/c does NOT always mean “add refrigerant.” It could be a blown fuse--or something entirely different. Point is, trusting a trained expert to diagnose and address the issue remains a far better investment than buying a can of refrigerant at the store and hoping for the best.